Going to school can be one of the most crucial parts of growing up for a child. Not only does time in the classroom educate them, it also is a valuable experience that will allow them to adjust to social norms and make friends. Even so, recent surveys have shown more than 1 million children are homeschooled in the United States, according to the National Center for Education Statistics. So is there a benefit to either schooling option? Are homeschooled children just as likely to lead a successful life? Or will they end up the weird kid in the corner? It all depends on the circumstances. Many fathers may choose to remove their son or daughter from public school due to extenuating circumstances such as the death of a loved one or behavioral problems. While there are certainly situations that merit it, there are some drawbacks to homeschooling as well. Of course, the largest disadvantage is that parents are not licensed teachers. 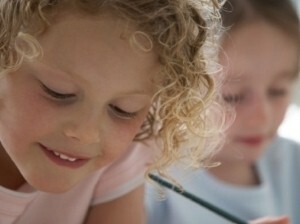 One possible disadvantage of homeschooling might be that parents are not licensed teachers. Though some parents might naturally be gifted instructors, others might find it a challenge to correctly convey information. Perhaps another significant drawback is that might be that homeschooled kids are often not exposed to other children and may lack the socialization skills necessary further on. Entrusting another group of adults with the well-being of your son or daughter can be tough, but unless there is a significant reason not to, enrolling them in school might be essential to his or her development.